Floor maintenance and cleaning regimens can have a large impact on the lifespan of a floor. As a specifier or contractor, you may be involved in guiding a client on best practices. As facilities manager, it is your job to make sure maintenance and cleaning are being done correctly. When size and weight are a factor, the HNS1550G offers the ideal balance. A compact yet powerful machine with supreme manoeuvrability, it has been designed to make cleaning of both large floor areas and smaller spaces quick, easy and efficient. With complete directional control and effortless performance, you can maintain a consistently high standard of finish. The machine’s brush pressure monitor and comfortable handling allows the operator to stay in control of the surface finish at all times. Its powerful Hi-Cool 1500W Motor is heavy-duty, ensuring a long life and many thousands of hours of cleaning. The operator handle is fully adjustable, and the automatic torque control monitors the power and balance for you. 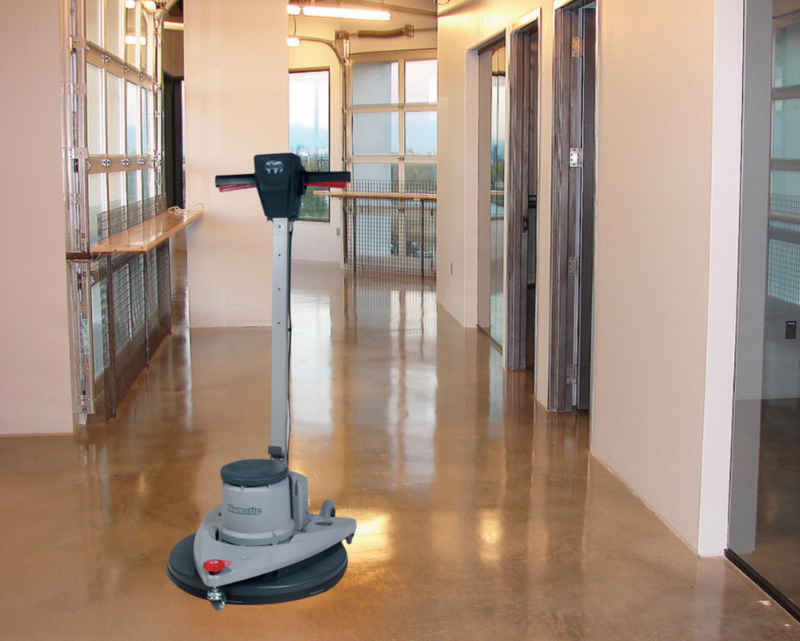 Superb manoeuvrability and all direction control means cleaning floors has never been this easy.